Orders are processed and shipped within approximately 1 business day. In the event of a promotion or new launch, orders may take up to 3 business days process. Allow an average of 3 to 7 business days delivery time. Orders over $60 being shipped within the Canada are eligible for free shipping. All sales are final. If your product was damaged during delivery or is found to be defective, you may send it back, with receipt, within 10 days for exchange. Shipping & handling charges are not refundable. Please call customer service before returning any item, toll free 1.866.933.1744. GST/PST/HST is applied to all orders wherever applicable. If you click on the Order button and get no response, it is probably because you can't connect securely to our server. - You are behind a corporate firewall that won't allow secure connections. Ask your network administrator to fix it, or order from home. If you can not add more than one product to your cart, then your "cookies" may be disabled. Enable "cookies" through the Preferences panel in your browser. You may have to restart your browser before this change takes effect. Please call us toll free: 1.866.933.1744 for all problems related to ordering online. Yes. We use PayPal's industry-leading secure payment processing software for all credit card transactions. How long will it take Canada Post to deliver my package? Our fulfillment facility is located in Richmond, BC. Number of transit days is estimated to be anywhere from 3 to 5 business days. All internet orders are fulfilled within 24 hours. Orders placed during weekends and holidays are fulfilled on the next business day. Yes. We at John Masters organics respect your right to privacy. 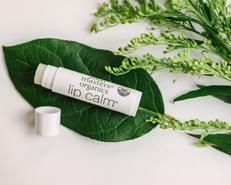 Therefore the information collected on this website will follow the strict guidelines mentioned here and John Masters Organics will never sell your information to a third party. Simply click on "how to use" under each product for complete information on properties, usage and directions. Many of our skincare products are currently being certified by EcoCert and will show their logo soon. At the moment the USDA organic seal is only approved for products that meet their acceptable edible food standards. New progress is being made everyday to help create a standard for the cosmetic industry. It is very important to John Masters Organics to have the seal on all of the products as soon as it is available. As John's favorite pooch Maya knows, he believes in ethical treatment for all animals. Including humans. 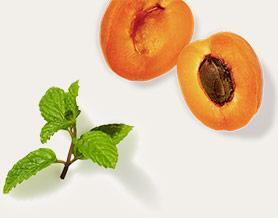 None of our ingredients or products are tested on any animals and John Masters Organics is endorsed by PETA . The entire John Masters line is vegan except for the following products: Lavender & Avocado Intensive Conditioner (contains honey), Sweet Orange & Silk Protein Styling Gel (silk proteins), Hair Pomade (beeswax), Honey & Hibiscus Hair Reconstructor (honey), Honey & Hibiscus Hair Reconstructing Shampoo (honey), and Lip Calm (beeswax). Yes, our haircare bottles are made of PET (1) plastic. This is the most recyclable plastic. Your community recycling will gladly accept it. The tubes are made of MDPE (2) plastic. This plastic is the second most recyclable. All of the amber glass used for the skincare and some of the haircare is fully recyclable. And the boxes used for the skincare are made from 100% recycled paper with 100% soy ink. They can be recycled wherever paper is accepted. All closures are made of HDPE and are often accepted for recycling. Packing "peanuts" used for shipping are made from sugar and will decompose. No. 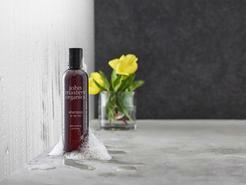 John Masters Organics products are entirely free of all parabens and sodium lauryl sulfate. All products that contain water and are not pure distillates need preservatives to ensure they remain safe and free of bacteria. We use the safest, most natural preservatives available and we are constantly updating our products as the newest preservatives become available. You can find the ingredients under each product on the website. All products have a shelf life of 2 years unopened. Once opened, we suggest using the product within 6 months. 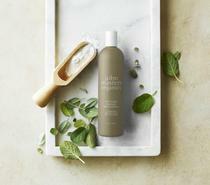 John Masters Organics is the premiere luxury organic hair and skincare line, and is a favorite of many celebrities. You can read about some of our well-known users as well as hear from some of our regular customers on our celebrities page. How do I find a retail store near me? How did John Masters Organics start?